For pre-regulated, low pressure, on-board systems. Stainless steel and brass. 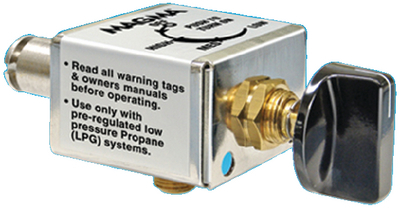 Designed to tap into safer low pressure side of regulator. Hose and fittings not included.